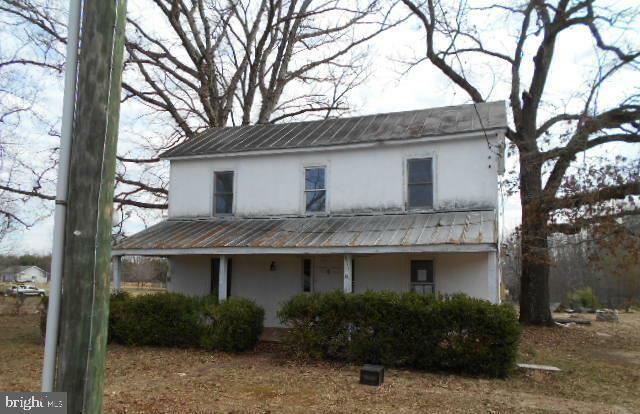 All Partlow homes currently listed for sale in Partlow as of 04/25/2019 are shown below. You can change the search criteria at any time by pressing the 'Change Search' button below. If you have any questions or you would like more information about any Partlow homes for sale or other Partlow real estate, please contact us and one of our knowledgeable Partlow REALTORS® would be pleased to assist you. 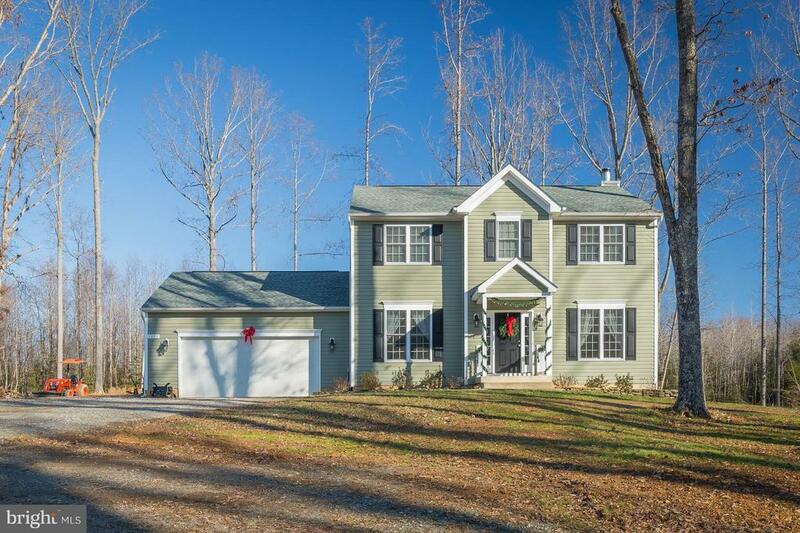 "Country Living at its best.Just minutes from the new Dominion Speedway in Thornburg.. 238+ acres and a 2 story Contemporary Cedar Home with 3 BR 2.5 BA , garage, deck and a 2 acre stocked fish pond.Wildlife everywhere and the Matta River bordering the property. Perfect for the horse farmer,winemaker, golfer, hunters or landscaper. Property Already subdivided into 4 parcels." 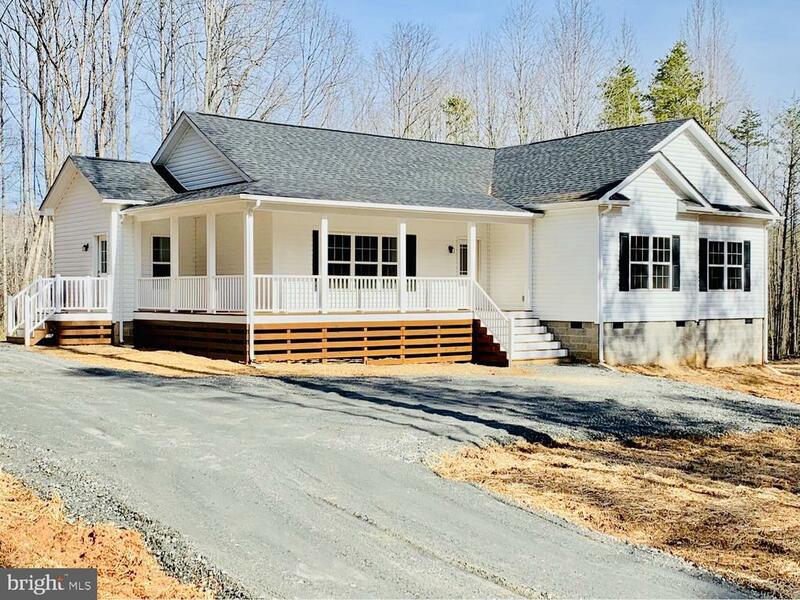 "Welcome home to this stunning 4 bedroom, 3.5 baths, heated/cooled 2 car garage home on 6.5 beautifully usable acres. Sit back and enjoy an over 1000sqft deck that overlooks a saltwater pool, fully fenced pasture area and fishing pond. Enjoy endless outside activities on the private 6.5 non HOA acres and then relax inside by the wood burning fireplace in the family room. The modern kitchen boasts granite countertops, 42 cabinets and black appliances - all under 5 years old. Upstairs has 3 large bedrooms including the master suite which has a walkin closet, huge shower and double vanities. Each additional bedroom has beautiful carpets and plenty of closet space. The fully finished walkout basement holds a bedroom, bathroom and media room that is perfect for entertaining. 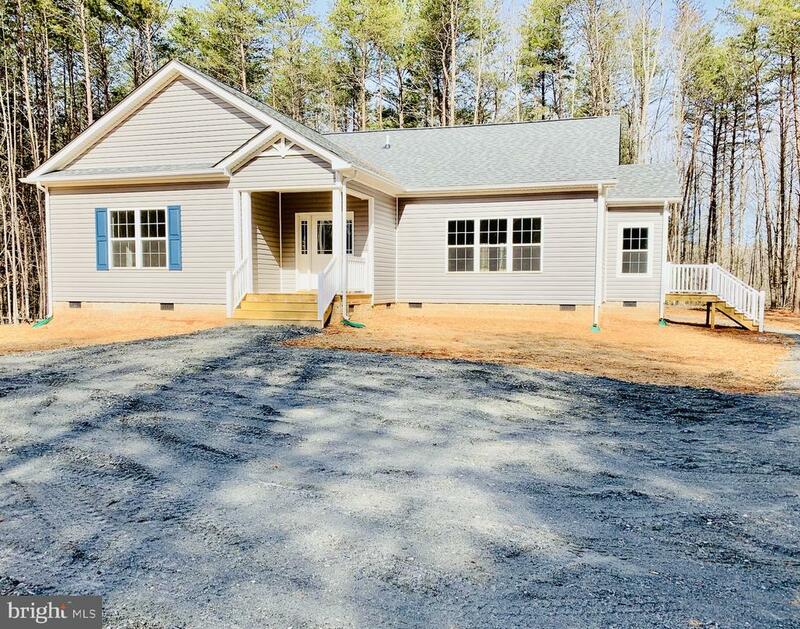 Being only 15 minutes from the Spotsylvania commuter train and 95, makes this an amazing home for anyone who commutes and the home has Xfiniti if you are lucky enough to work from home!" "ESTATES OF BUCKINGHAM - NOW SELLING - Rambler w over 3300 finished sq. 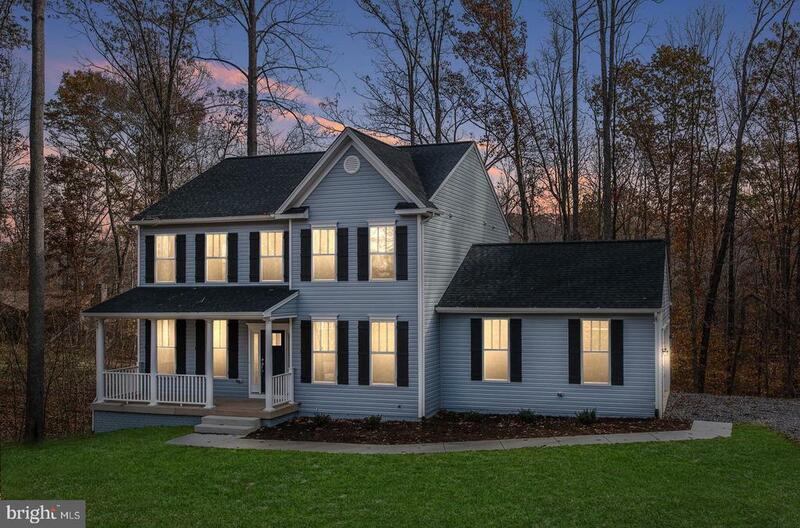 ft. ** Sophisticated one-story living home w/ a functional split plan layout. Spacious interior design is both flexible & dramatic. Offering a soaring cathedral ceiling, great rm & kitchen of dreams that lead to part covered porch, well-appointed owner's suite w/ luxury bath and soaking tub. Fully finished basement (including Rec room, additional bedroom and full b ath). 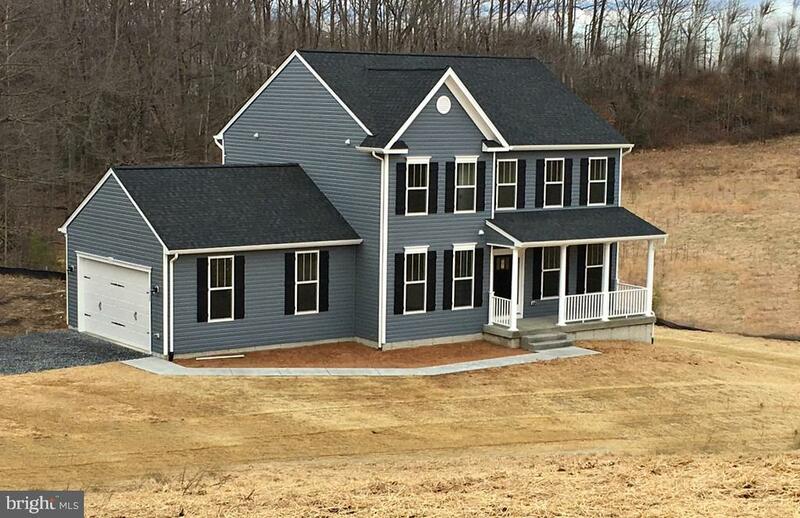 No detail missed in this popular single level living plan w/ plenty of room for entertaining." "So much privacy yet close to 95 and city conveniences!!! Beautiful wrap around porch and deck! Granite counter tops with large island. Master suite with luxurious bath and huge walk-in closet! Brand NEW!" "ESTATES OF BUCKINGHAM - Premier Spotsy Community NOW SELLING ** LOT provides OVER 13 ACRES** Deluxe County living backing to a winding stream (finger of Matt River). New construction in process for Estate home offering potential for over 3000 sq. ft. & declared tradition in this easy living plan accommodating for all customary rooms - formal and non. QUICK DELIVERY"
"Beautiful home on 6 acre lot. 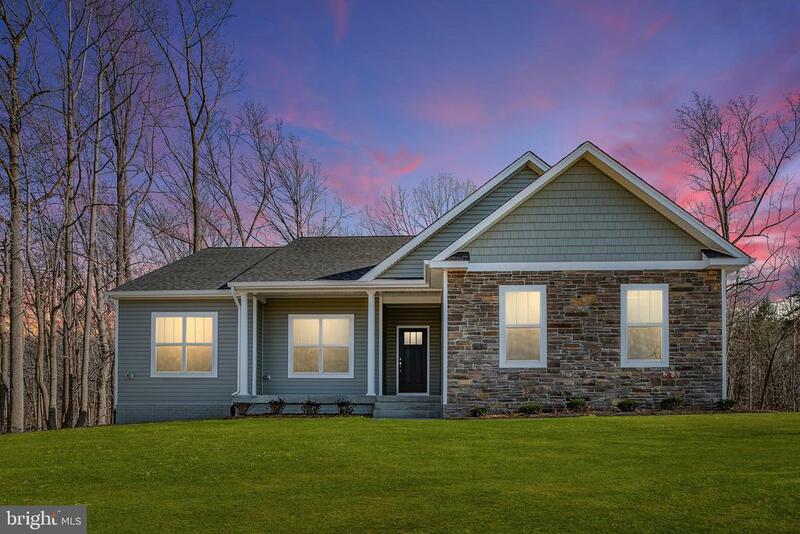 Home is complete and ready to be your dream home! Gourmet kitchen with HUGE island, granite, custom cabinets and SS appliances. Gorgeous master bath with marble. Separate water closet, shower and soaking tub. Open concept kitchen to family room. 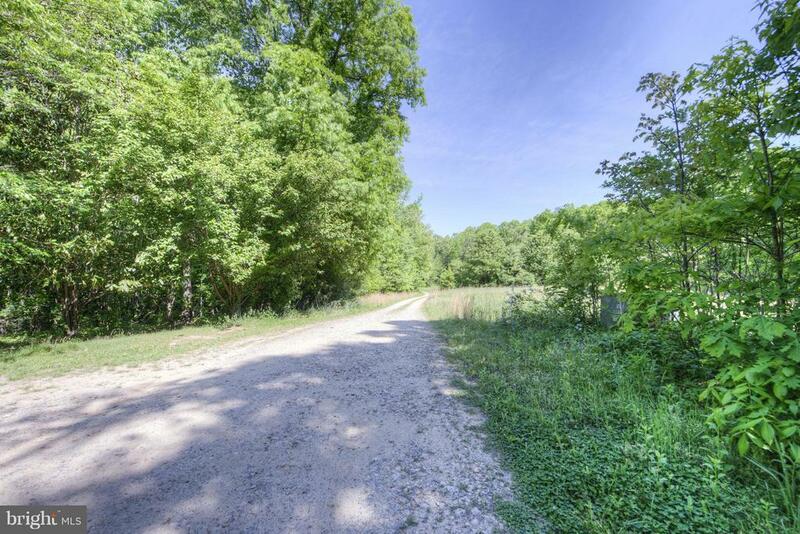 Enjoy the privacy of country living while only being 10 mins to 95! MUST SEE!!" "Peace & Quiet awaits.. Construction has started.. EARLY JUNE DELIVERY Featuring our Haven plan that boasts a luxury master suite, upper laundry for convenience,& Spacious bright kitchen with antique white cabinets (planned)**Still time to add your own personal touches in selections & upgrades** Estates of Buckingham is a new estate community and features 42 beautifully wooded lots ranging from 3-25 acres surrounded by hundreds of acres of untouched reserve land!" "3-bedroom rambler on private 2.6 acre lot with detached 3 garage workshop! This 2,000fin sqft home boasts hardwood floors, gas fireplace & upgraded kit. w/ SS appliances. Master bedroom & master bath w/ dual sink, garden tub & shower. Partial fin. basement w/ full bath and room to grow! Full front porch, stamped concrete walkway, rear deck & fenced yard and massive detached 3-car garage w/ carport! All this & just min. to the lake, your own private retreat! See 360 degree virtual tour!" "BACK ON THE MARKET!! Country living on 5 acres on a rural cul-de-sac. Over 3000 square feet of one level living space. Lots of parking with paved circular driveway. A living room with a wood burning fireplace. A great room with pellet stove. A dining room right off the large kitchen. Two master suites at either end of the home. A Family/All Purpose/Home Schooling room. Two additional bedrooms. Additional room which could be office space. Separate laundry room. Fenced in backyard with deck is great for entertaining. MOTIVATED SELLER - BRING YOUR OFFER"
"Being sold AS-IS. Renovate or build new! Can be subdivided. 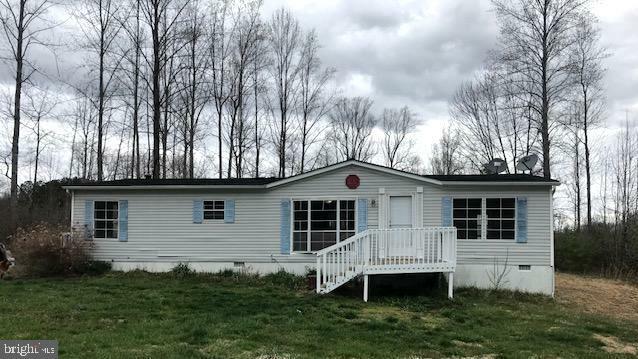 Manufactured home on a flat 19 acre lot! Well and septic present. The home has a new roof and new water heater. Detached garage, dog kennel & structure made into chicken coop are also on the property. Speaker system throughout the house, riding lawnmower, bees, space heater, and fireplace tools can convey." 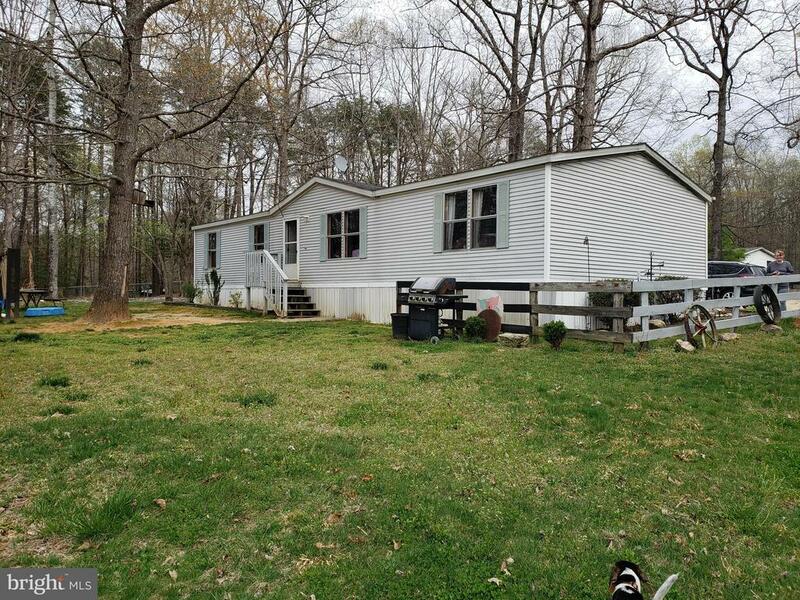 "Over 5+ acres of land! Brand new floors throughout home. One level living with open floor plan. Big kitchen with plenty of cabinet space. Large bathroom in master bedroom with shower & tub. Flat front and back yard! Enclosed sun room for the hot summer days with inside and deck access. NO HOA AND LOW TAXES!!" "NO HOA! Country setting with convenient location. Open floor plan with updated kitchen, granite counters, stainless appliances and new cabinets. Separate dining room. Beautiful stone fireplace with wood stove. Large master suite with addition. Possible no money down financing." 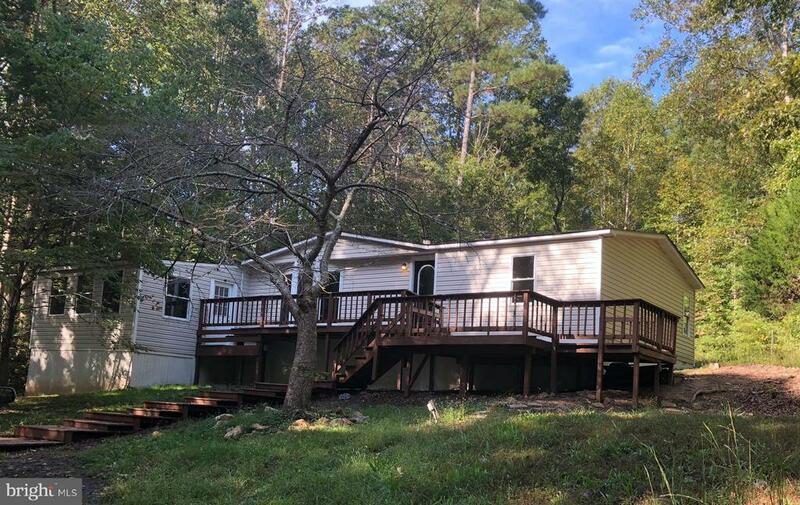 "Large Home on 6 acres, some imagination could restore this one to it true beauty, enjoy the peace and quiet without being to far away from town." 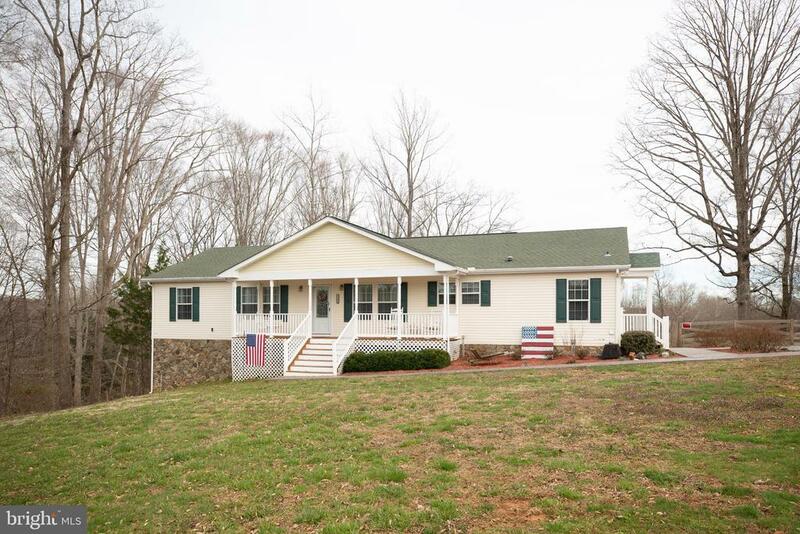 "Enjoy the rural setting which sits on 1.85 acres of a partly wooded, flat yard. Home is 4 bedrooms and 2 baths and is being sold as is. Shed is included in the sale. 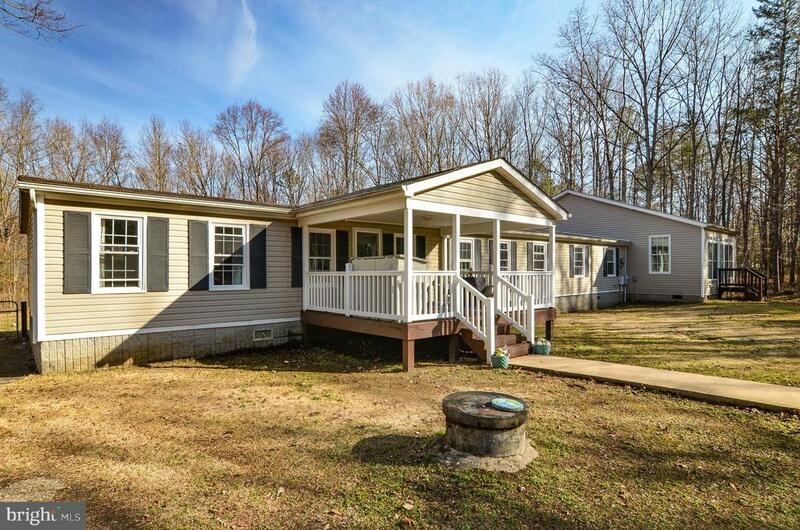 Home sits on the back of the lot and off the road making plenty of room for your family to play!"